When I was featuring (some of) my highlighter stash recently, I mentioned that I owned a few that doubled up as blushers, and I thought I’d show you those too. If you’ve followed my makeovers in any great detail, then at least one of these will be very familiar to you! 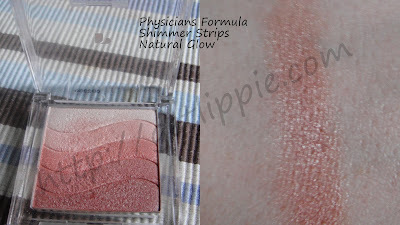 This is my Physician’s Formula Shimmer Strips in Natural Glow which I won in a giveaway over at London Beauty Review quite recently. 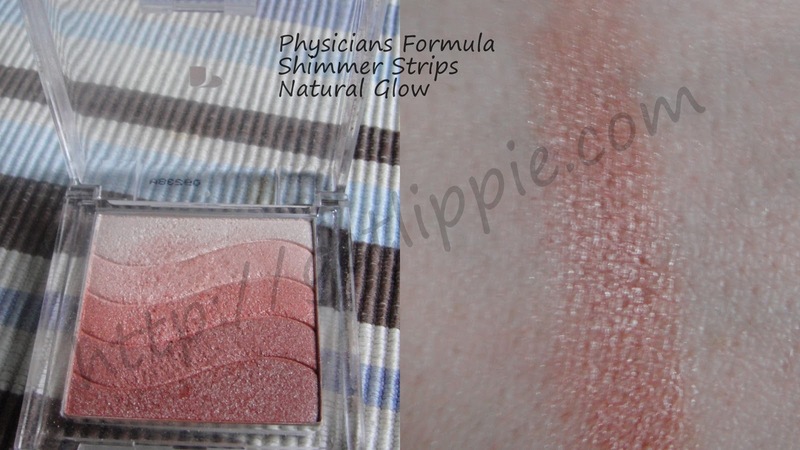 on the peachy side of natural, this gives great glowy definition where you want it, and is great for pure highlighting when you just want sheen. 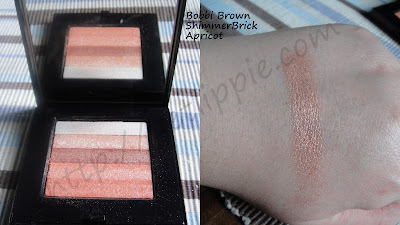 The swatch on the right shows all the shades swirled together, but the darker two strips at the bottom are ones that I’ve used very successfully as a blush shade too. Bobbi Brown Shimmer Brick in Apricot. This isn’t one I use much, as I think it needs a bit of tan to make it work properly, so it’s one I’m going to make massive amounts of use of this summer, being coral is massive this year! It’s the same quality as my BB Beige shimmer brick, which I never miss an opportunity to use, and I’m sure this one won’t let me down either! It’s a little more on the gold-y side than the Physicians Formula above, not too sure if that’s visible in the pics. Finally, what is probably my favourite highlighter of all time, Cargo Plant Love Illuminator in Wind. A swirled (baked) mix of bronze and two shade s of pink, this is something that I find never fails to lighten and brighten even the dullest of complexions. Plus, mad packaging aside, it’s also very pretty to look at. Applied with a light hand, it gives a very pretty flush of colour to the cheeks, but you can also use it to give a sunkissed look, as in this makeover here. Do you have any multi-purpose blushers and highlighters? What are your favourites? 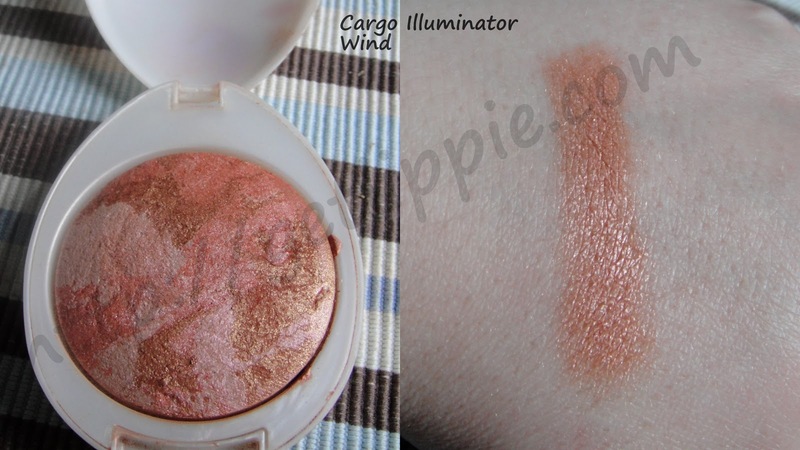 The Cargo illuminator looks lovely! I find the darker shades in MAC's Readhead MSF work well as a blusher for me and my pasty complexion. All 3 of them look vaguely similar..I know they're not dupes but it's great to see swatches of all of them! 🙂 Thanks!